Girl With A Pearl Earring, Dutch Painting From The Mauritshuis is now showing at the de Young Museum in San Francisco. The de Young is the first museum during the Americas tour to show the collection of Dutch Painting from the Mauritshuis gallery which has not lent out it’s collection for close to 30 years. Recently the Mauritshuis gallery is undergoing renovations and therefore has lent out it’s treasured art collections. 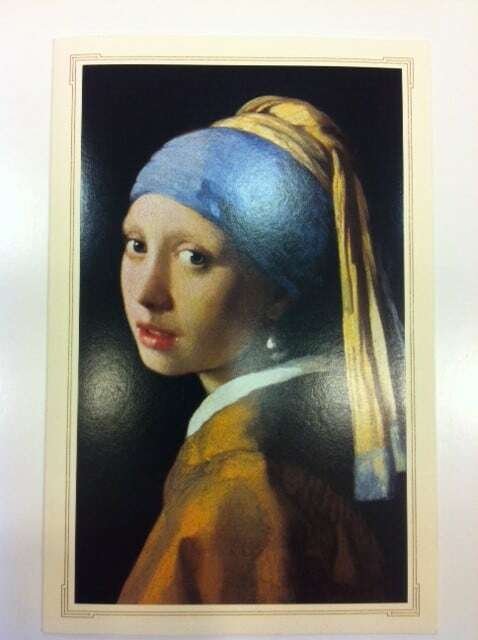 Now you can see the Girl With A Pearl Earring by artist Johannes Vermeer right here in San Francisco. There was also an Invitation to a Reception and a Behind-the-Scenes installation of the exhibition, which Hyegraph also created, for the same evening inviting special donors to the fine arts museums. 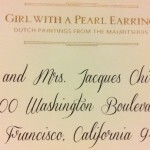 In addition to creating the reception cards we also used our Digital Calligraphy Service to address the Invitation Envelopes for the Premiere of Girl With One Pearl Earring at the de Young Museum in San Francisco. 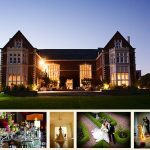 You can order your invitation ONLINE on come in to Hyegraph Invitations & Calligraphy at 3 Embarcadero Center in San Francisco where we can create your custom invitations together. The Girl With One Pearl Earring has also been the inspiration for a Movie and a Book. The book is written by Tracy Chevalier, published in 1999 is a historical novel. It sold over 2 million copies globally. It’s about a servant’s life, a master’s obsession, a matter of honor set in Holland. The film, “Girl With A Pearl Earring”, is directed by Peter Webber and stars Scarlett Johansson and Collin Firth. It was made in 2003 after the book came out in 1999. The film grossed over 31 million internationally and was made with 10 million. Why do we want to look at paintings? Why is it important? Does it connect us to Time: an intangible dimension and makes it more tangible? An object can do that for us, make time appear to be more tangible so that we can see it or touch it. But to transform to 1665, which is when the oil masterpiece, “Girl With A Pearl Earring” was painted by Dutch Painter Johannes Vermeer you do have to go to de Young Museum in San Francisco where you can witness first hand “time” in a painting. For tickets and information on visiting de Young Museum please visit their Plan Your Visit Page. Enjoy witnessing time at all your local museums.